as to be right in doing it. 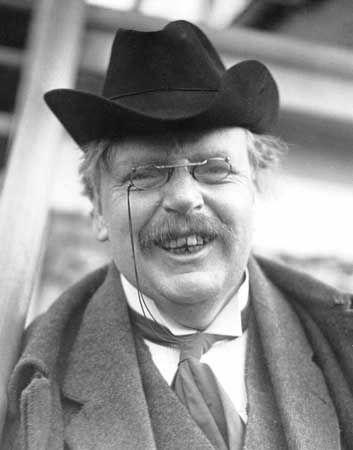 I’ve had an interest in Chesterton for quite a few years now and have really enjoyed reading his philosophy. I’m no expert, but know that I find myself in congruence with many of his thoughts. 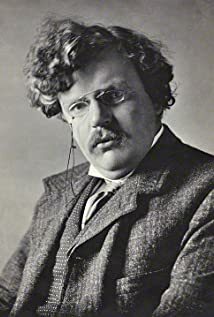 His famous and odd novel, The Man Who Was Thursday: A Nightmare was my first real introduction beyond reading some of his more famous quotes and I suggest it for anyone as an interesting story. It is a story of anarchists, detective work, poets, and Edwardian politics; what more do you need? I certainly don’t agree with many of his tenets but he is a gem of a thinker for sure. He was quite a “looker” too.